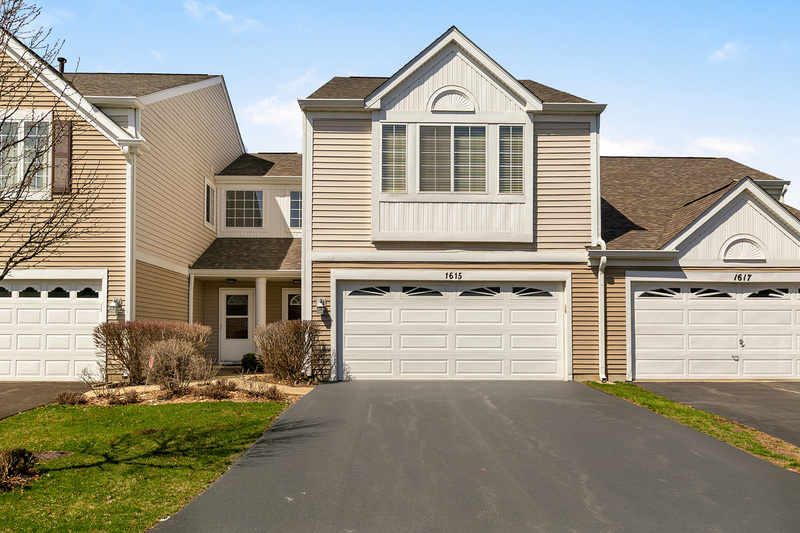 1615 Spaulding Road #1615, Bartlett, IL.| MLS# 10333128 | Parade of Homes Bartlett IL, Homes for Sale in Bartlett and the greater Schaumburg area. Listing commissions as low as 1%. Wow, this is the one! Everything has been done for you with updates throughout utilizing quality materials. The first floor features hardwood flooring, an awesome kitchen with custom 42" cabinetry including soft close drawers, pull outs, built in spice rack, stainless appliances, granite counters and walk-in pantry. The kitchen overlooks the living room, great for entertaining and everyday living. Upstairs the Master Bedroom features a cathedral ceiling, sitting area/office, walk-in closet with organizer and phenomenal bathroom with dual vanity, granite and all new fixtures. The two other bedrooms share the totally remodeled hall bath again with soft close drawers and quartz counter. Convenient second floor laundry with new washer and dryer 2017. New roof 2018, driveway 2017, Hot water heater 2016, AC 2012 and new heat exchanger on new furnace. This one won&apos;t last!